I am not ready to go out into public but I am definitely on the mend. It is so relieving to see things improving. There were times across these few short days when I questioned my decision to get a tummy tuck. It was much more painful than I expected, and I had not anticipated just how much I would hate not being able to stand upright. At times I wondered if I would ever stand straight again. I still felt fat and I wondered if the final results would be worth the pain. I was comforted in this initial phase of recovery by the comments posted on the ObesityHelp Plastic Surgery Message Board. Women whom had gone before me and had tummy tucks or lower body lifts after their bariatric surgery assured me it would all be worth it. I remained optimistic. Each day I felt a little better than the last. Each day I was able to stand straighter and have less pain. Each day I needed less frequent pain killers. On day 3 post op I had my first bowel movement. The Colace and the water have done me well. My BM was completely pain-free and easy. On day 4 I was able to get in and out of bed unassisted (although it is not easy). I also was able to very slowly turn on my side and lay in the fetal position (although it was not very comfortable). On day 4 my surgeon instructed me to start the blood thinner. I had some concerns about taking an anticoagulant (commonly called a blood thinner). I was acutely aware of the bleeding risks associated with this category of drugs and that most, if not all brands, carry an FDA black box warning. A black box warning indicates that the drug carries significant risk. Additionally, I had some anxiety over injecting myself with a needle. Obviously my surgeon believed the benefits outweighed the risks. I did trust his judgment but just the same I called his office and spoke with the P.A. He informed me that none of their patients had ever had an adverse event with taking the drug, but that some patients whom had not taken the drug had suffered pulmonary embolism or deep vein thrombosis. That was enough evidence to allay my fears. We again went over the dosing instructions -- I had to inject the anticoagulant in my stomach once per day for the next 8 days. I don't like touching my stomach or having someone touch it. The sensation is very odd owing to numbness. 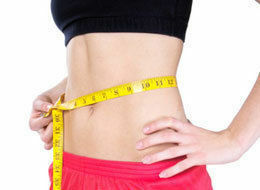 But to inject myself I need to "pinch an inch" of stomach skin and fat and inject into that away from the muscle. With regret I go to pinch my fat and I am delighted to find my stomach so flat and tight that I don't have an inch to pinch! Anyway, I do the best that I can and muster as much fat as possible by grabbing a very large section. Hilarious: Pre-surgery this would have resulted in about 5 inches of skin and fat! I inject what looks to be a large needle into my skin -- in reality, the needle is small, but my anxiety is blowing it out of proportion. At first the needle does not go in. My stomach turns a little as I press harder and the syringe empties. At this point I am thankful for the numbness: I do not feel a thing! I did not have any reaction to the injection. So in the end my worry was much ado about nothing. Continue to part 11 of this article.